People have become aware that their concrete floors can give them a beautiful dimensional quality and don't have to be covered with tile, carpet or other floor products. 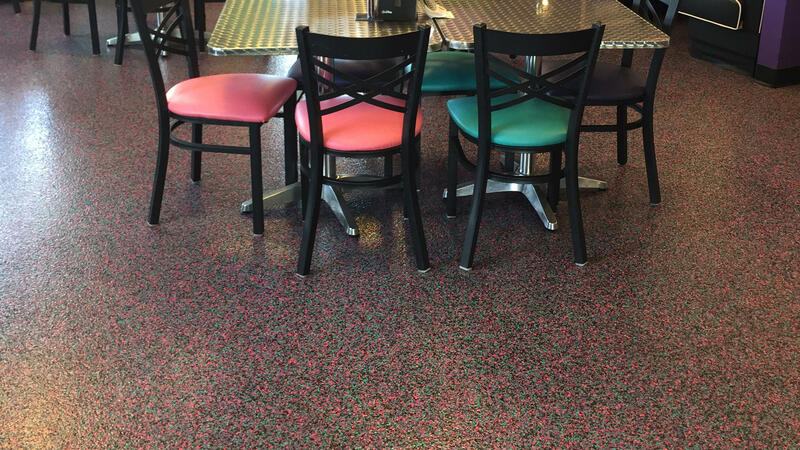 Concrete Coatings on floors is popular and extremely cost effective especially with large square foot areas such as restaurants, basements, retail stores, lobbies, and industrial areas. Concrete coatings in basements have become more common since they are hypoallergenic and don't need replacement should flooding or water damage occur. 100% vinyl paint chips and are easy to clean and very durable. They come in a variety of blends of colors. 100% color quartz granules and are easy to clean and very durable. the use and conditions of the floors. in a multitude of colors. Are you bored of grey concrete? Do you wish your patio was made of stone, brick or something else? Is your concrete worn looking, patched, are you looking for a change? 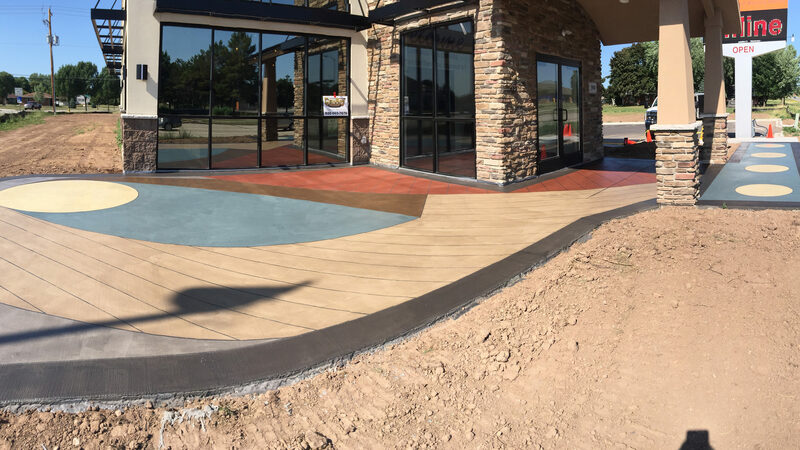 Decorative Overlays can solve all these problems with minimal damage to your existing landscape compared to other options. 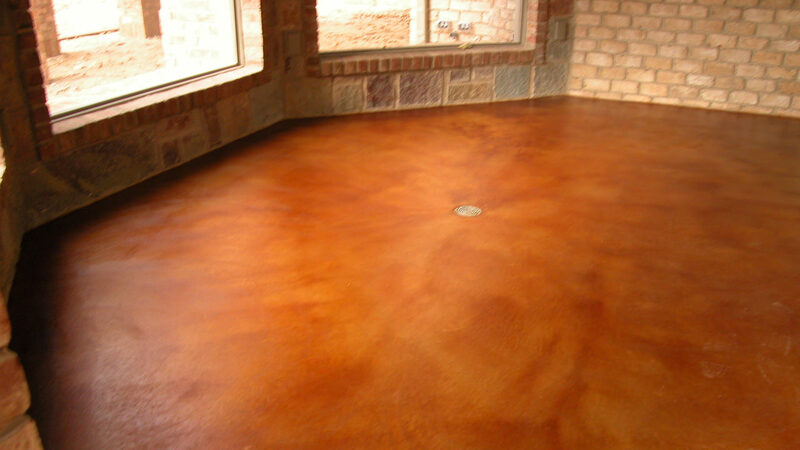 We can apply this concrete coating in a variety of patterns and colors. Available as an exterior and interior product it can be smooth, textured or stamped Concrete resurfacing is a great way to fix a driveway that has surface spalling and stone pops to give it a new look as opposed to replacing the cement. 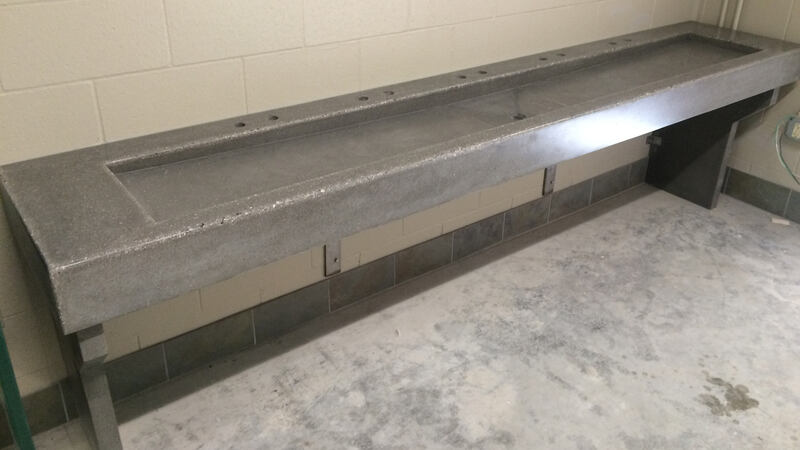 Elite Crete Systems was designed as a concrete coating particularly for the freeze thaw cycle. As an authorized Elite Crete installer, you can be sure of the quality of our workmanship. Concrete Manufacturing -Precast into any shape or form, Custom Pavers, Tile, Pre-Cast Architectural Details, and More! Since we pre-cast concrete into custom molds and we can color the concrete to a variety of colors it’s easy to match the decor. To discuss amazing concrete design opportunities available, contact us.